Heads up coffee lovers! Eager to know which coffee machine is the best out there? Make sure to read this buying guide to give you a complete insight. From types and benefits of owning a coffee maker to must-have features before making a decision, buying the best coffee maker in India was never this easy. 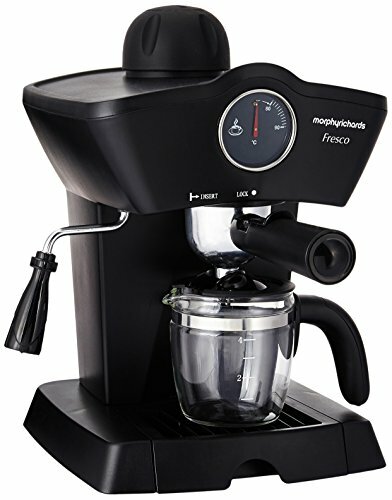 Morphy Richards Fresco: Want a coffee maker for your office or a family of 3-4? From Starbucks like cappuccinos and latte to black coffee, with stainless steel filter, it can brew aromatic and smooth, silky coffee for 3-4 people all day long without burning a hole in your monthly budget. Philips HD7431/20: But if you are looking for something even cheaper, the Philips HD7431/20 can brew up to 7 cups of flavorful coffee within 10-minutes and even comes with dishwasher-safe parts for effortless cleaning. Drawbacks aside, if you have your travel mode on, this by far the best coffee maker in India for you and thus worth its price. Looking for a coffee maker in India on a tight budget? Well, the Philips HD7431/20 will not let you down and here’s why. 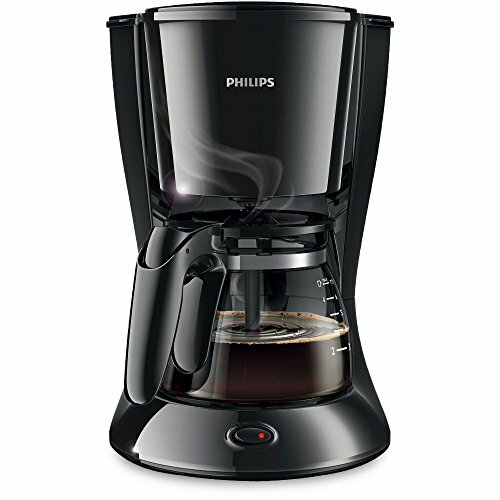 Firstly, what stands outs about this Philips Coffee Maker is the Aroma Twister which stirs the coffee in the carafe. This ensure the coffee remains flavourful and equally aromatic from top to bottom even if left in the carafe for long. Secondly, with 700-watts of power, the coffee maker can brew around 7-8 cups of coffee in 10 minutes so you and your guests won’t have to wait too long. But if you are in a hurry, just hit the drip stop button and pour yourself a cup of coffee even before the brew cycle is completed. And so you get your measurements right, the water tank comes with level indicators so you can fill it as when needed without any hassles. The glass carafe gives you a clear view of the output and comes with measurement indicators so you can fill up each cup precisely. The filters not just efficiently rid your coffee of contaminants giving it a good texture but since they are detachable you can easily wipe off any dust, stains etc. Furthermore, also make cleaning the coffee maker a breeze are its dishwasher-safe parts like the jug and the filter holder. 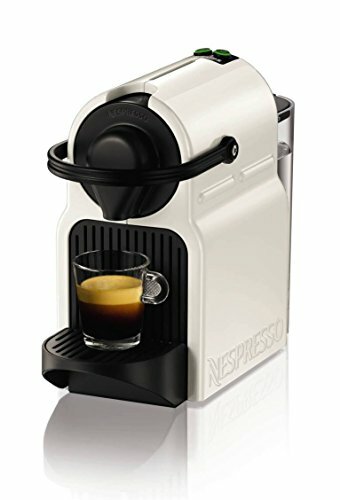 Since it does not come with a milk option or frother it cannot make cappuccinos and lattes which limits its versatility. Yup, there are limitations to the use of this coffee maker but if you like your coffee black or prefer filter coffee over the fancy stuff, the Philips HD7431/20 tailor-made for you. One of the benefits of using a French Press over other coffee makers is that the beans retain most of their oils creating an even better taste. 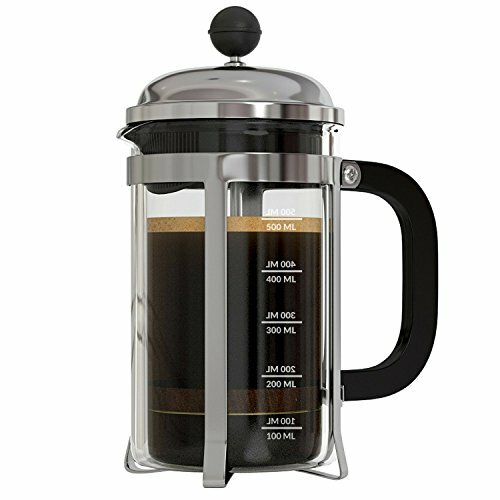 So if you too a French Press, here is a buy you will regret. BUILT FOR DURABILITY - our coffee plunger is made from premium grade 18/8 stainless steel and extra tough borosilicate glass carafe that does not break easily. Bad filtration can mean your coffee looks cloudy and have a yucky texture because of the grinds in the coffee. This is why the InstaCuppa Press has been equipped with the super-effective 4-stage filtration system that gives you clear and grind-free coffee in just about 4-5 minutes. And since the filter has been built using stainless steel they are very easy to clean and remain rust-free throughout the life of the press. The 600ml carafe is made using borosilicate glass which means it is heat resistant and won’t break easily. Thanks to the high-end smooth plunging system of the InstaCuppa, the otherwise tedious task of plunging becomes effortless (it does not need your might). The plunger is also made of stainless steel and so you know it will last you for years to come. Parts like plunger, filter etc. are dishwasher-safe so cleaning the whole press after every brew should only take you a few minutes. Preparing coffee with a French Press requires more effort and patience on your part as compared to coffee machines since they are slower. Also, you can only make a limited amount of coffee in them. And lastly, there is no drip tray so if you happen to clumsy, take extra care while pouring or plunging so you not end up dropping any coffee. Who Should Use a Coffee Maker? Both enthusiasts and occasional coffee drinkers. It can be your quick and easy way to brew delicious coffee either at home or office. Perfect for offices, families, and people who often have guests or friends at their home. Most coffee makers come with programming features to adjust the unit and do an automatic brewing. They are available in many different designs and sizes. There are lots of benefits of having the best coffee maker in your home or office, and the list below accurately delivers that. Nothing beats the convenience when you own a coffee machine. As long as you have the ingredients, you’re always on the go! Your automatic coffee maker can use any beans, whether it is an artisan roaster or new beans. A cup of espresso at a local coffee shop costs more money, not to mention it kills much of your time. A coffee machine is a one-time investment but is guaranteed to save you more resources in the long run. Be that a small or big gathering, rest assured that this unit won’t disappoint you. There are huge coffee makers with a capacity of 12 cups or more. A homemade coffee is more than just a quick energy boost. It can also be of utmost help in lowering your risk of liver diseases, type 2 diabetes, and other conditions. So, what to keep in mind while shopping for a new coffee machine? Choose a model that fits well to your brewing type. Each has their own pros and cons, so conduct thorough research to know which is really best for you. Coffee makers come in all sizes and weight, thus, you’ll want to measure your countertop area beforehand and determine whether or not it will be brought with you during travels. Good units take less than fifteen seconds to make 30ml and completely stop dripping, while lower quality ones take up to thirty seconds. It’s worth considering choosing for a bigger capacity model if you want longer coffees. Make sure to test the product first before buying it. Ask for assistance from the staff. Some of the key features that will definitely ease your life include pause and serve, brew-strength control, built-in grinder, water filter, self-serve, and self-clean cycle. Coffee machines mostly with a 1-year warranty. Although, there are some companies that provide warranties up to 3 years. Trying to decide which type of coffee maker will suit you best? We’ve explained the different types available below. This is pretty simple to operate and a perfect option for people who drink filter coffee. Comes in various sizes ranging from 4-20 cups. The automatic timer included enables you to adjust the timer. One of the best budget coffee makers, this machine allows for a quick and easy brewing for people on the go. It generally ranges from a small 3 oz. cup to big travel mugs. Coming from its own name, multi-cup coffee machines can be able to serve around eight to twelve cups of coffee, hence, a perfect option for households with more than one coffee drinker, individuals who need more than one cup of coffee, or dinner parties. This machine uses a relentless boiling cycle. If you love strong or dark roast coffee, then percolation is definitely for you. It is available in a range of sizes, usually from 6 to 50 cups. Want an improved coffee brewing experience? Look no further than espresso machines. Various types are available including semi-automatic, fully automatic, and pump espresso maker. Vacuum Coffee Maker: Also called Vac pot, this coffee maker is made up of glass and tends to give you a good cup of coffee. However, it requires a lot of time and patience. Makes use of conical filters and can be either portable pour over the machine or automatic, electrical units. Has a bit similarity to drip coffee makers, though it is more of a manual pour over brew. 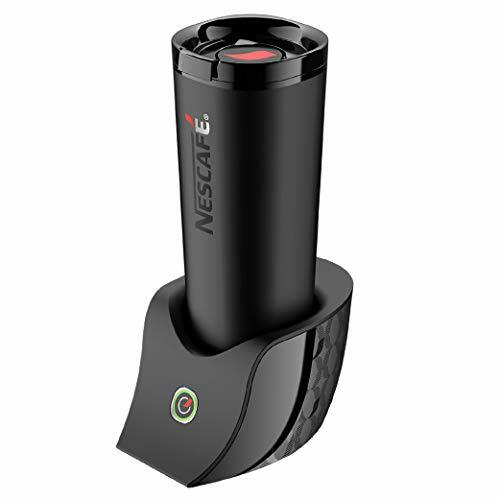 It produces great coffee flavor, offers a true brewing experience, and gives you full control. This is ideal for those who travel a lot but don’t want to miss any single day drinking their favorite coffee. Portability is the name. Available in many different sizes, between one and ten cups. If you’re a fan of Starbucks, then you might already know about cold brew coffee makers. It is basically a large holding tank that brews a coffee concentrate over a span of 12 to 24 hours. Have already an idea which coffee maker is right for your preference and budget?